Travel, eat, play, fun…with an opinion. Typical beach bar with the actual bar shaped like a boat’s bow, an upstairs rooftop bar, and a downstairs main bar. Great beach vibe with live Reggae music from a karaoke type machine and a pretend steel drummer with an extremely laid back atmosphere. There are brightly colored beach chairs on a sand covered open patio for those who want to feel the sand between their toes as they sip a cold one. We sat ourselves and in our case I got retrieved the menus from the bartender since the server was too busy. Lucky somehow another server showed up on the boat deck to take our order. Everyone was nice and relaxed. 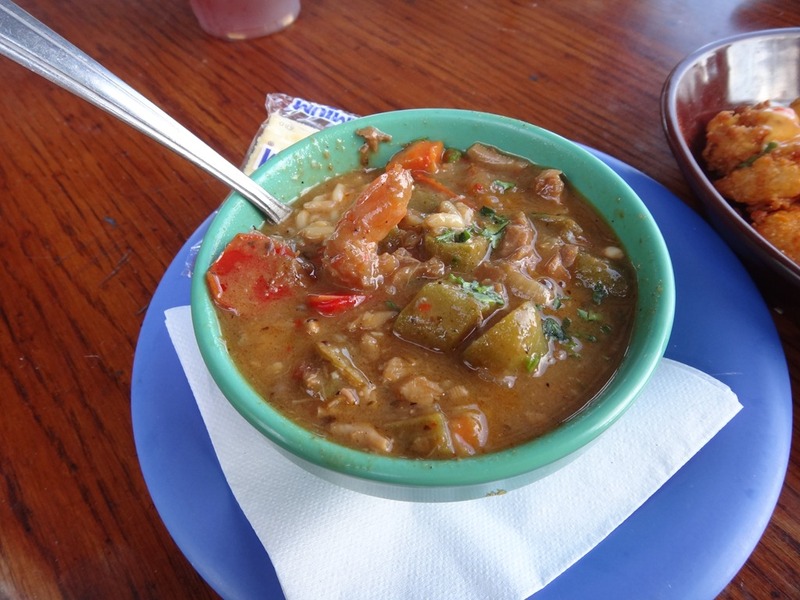 Seafood Gumbo of whitefish, clams, scallops, Italian sausage, and okra was hearty and flavorful. 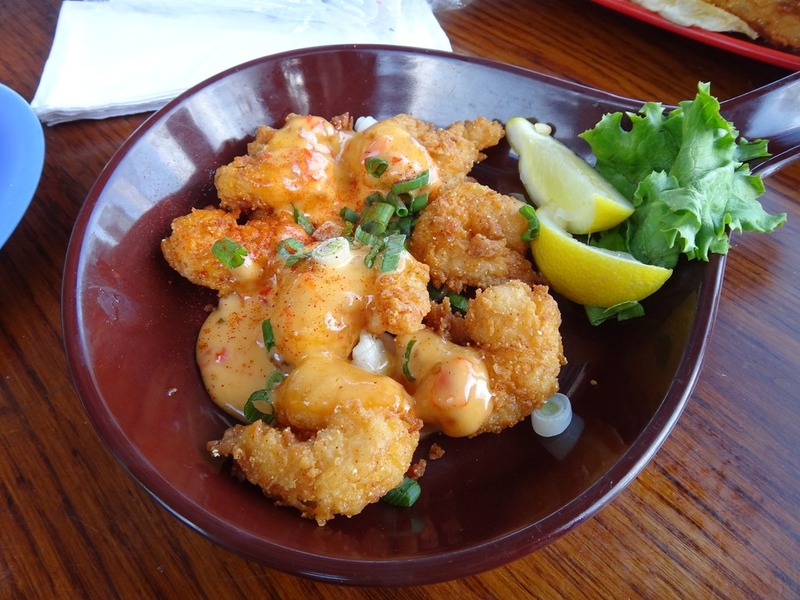 Pow Pow Shrimp Fresh shrimp fried and topped with a creamy spicy sauce. Their version of buffalo shrimp. They should have left Buffalo alone. In their version, the mayo was already separated creating a mushy,heavy, slimy, pile of crap. Poor shrimp had no chance. 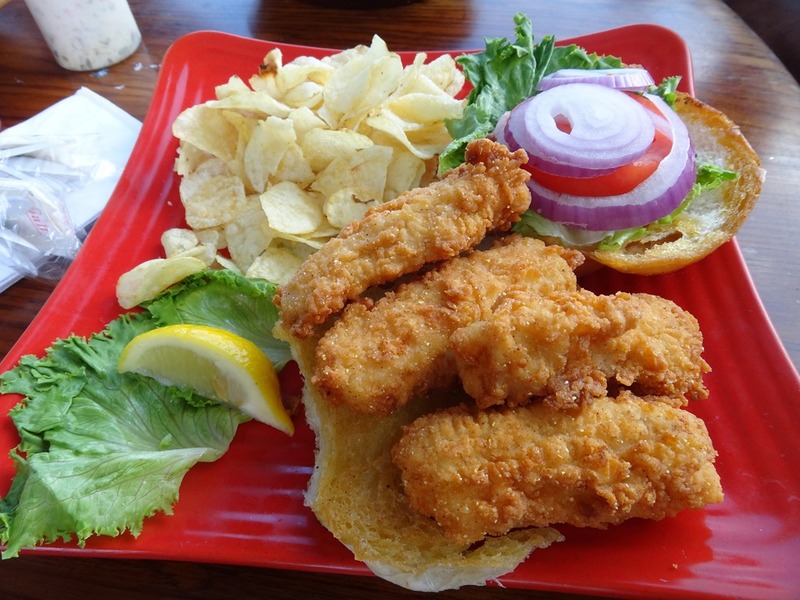 The Towering Fish Sandwich A crisp mild white fish piled high and served with tartar sauce, tomato, lettuce, and onions. Hello freshness. Huge chunks of fresh fish jumped out of Tampa Bay onto a plate. Exactly what one would expect from a beach side Boat house. 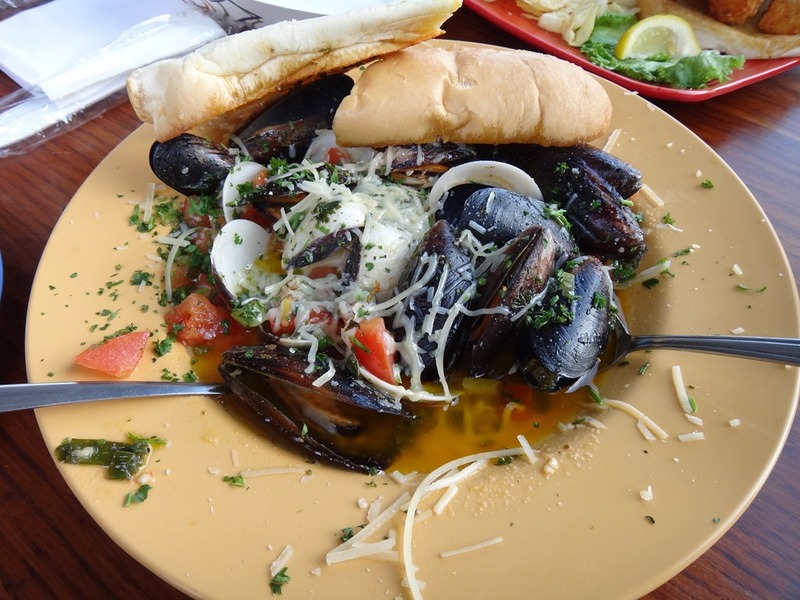 Clam and Mussel Sautee Pacific clams and blue mussels sautéed with white wine, garlic, and diced tomatoes served with garlic bread. After having a couple pieces of sponge, I encountered an unopened clam. End of meal. Check please. This is a very casual place with a very beachy feel across the street from the beach. With the ocean’s breeze and a cold one who cares about anything else, right? Hit and miss on food. But it is the beach. Have another cold one.